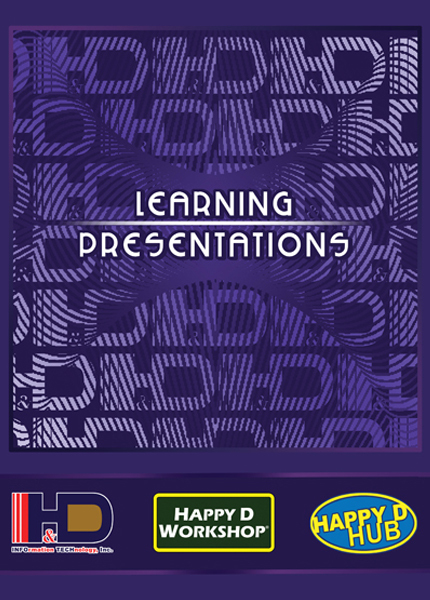 Learning Presentations is designed to teach the students how to communicate ideas through the use of presentations. It aims to develop the students’ skills in designing a presentation which includes formatting text and graphics, creating charts and diagrams, applying animation effects, and integration of sounds and videos into the presentation. In addition, the course provides lessons that will teach the students computer concepts and the impact of technology in different areas of their lives. The course also provides written assessments, hands-on exercises, and projects that are designed to allow the students to practice their newly acquired skills and express ideas creatively.